If you have a business in Croatia, chances are you’ll want to put up a web site to promote that business at some point. The very first step in creating a web site is picking and registering a domain (e.g. web address) where the web site will live. For businesses in Croatia, especially ones that are catering to those living within the country, it’s a good idea to get a .hr domain (e.g. http://croatia.hr). 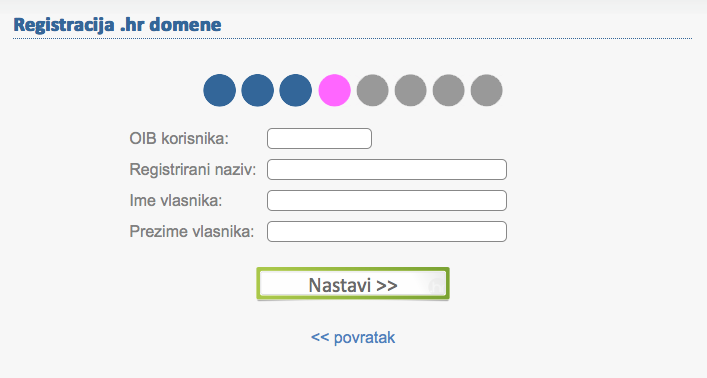 Luckily, all registered businesses in Croatia are entitled to a free .hr domain. You can select your domain and register it online. 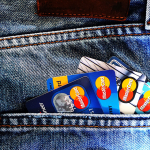 Once registered, it only needs to be renewed on an annual basis. To get your free .hr domain, go to dns.hr. 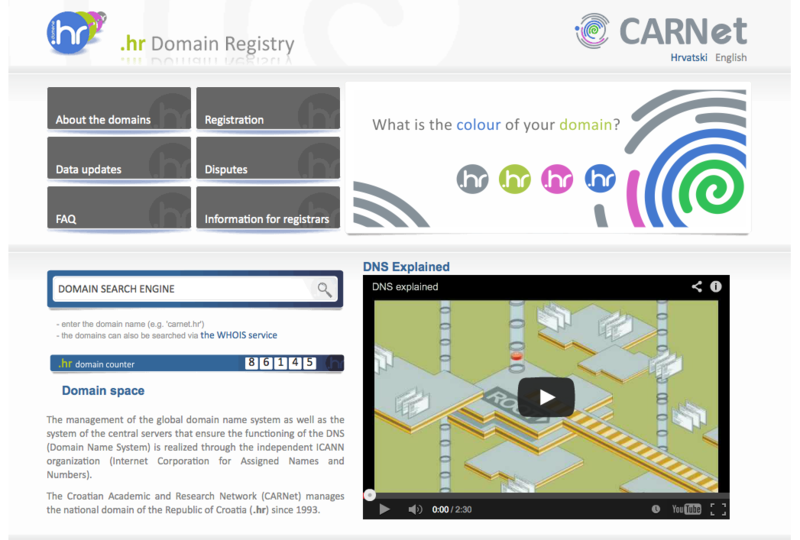 Here, you can search for available .hr domains and register your selected domain. The instructions and informational pages are in English and Hrvatski (which is amazing, as the English version of the site is new). The registration portal is in Crenglish. Some fields are in English, some stuff is in Hrvatski. The first step in registering your domain is selecting your status. 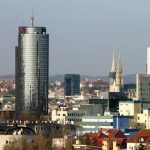 For companies such as d.o.o., j.d.o.o, udrugas and t.o., select “Obrtnici i samostalne djelatnosti” or “Legal Entity” from the list. For private persons, select “Pravna osoba”. Keep in mind that there is a cost to register a .hr for private persons. Registration is only free for registered companies and government bodies. Next, select your type of business. The list of business types is very specific. If you’re type of business is not represented, then select “Ostalo” which means “Other”. 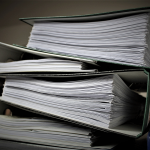 Next, you’ll need to provide the legal information that matches your company’s registeration including your OIB, registered company name and the owner’s name. From here, complete the registration. 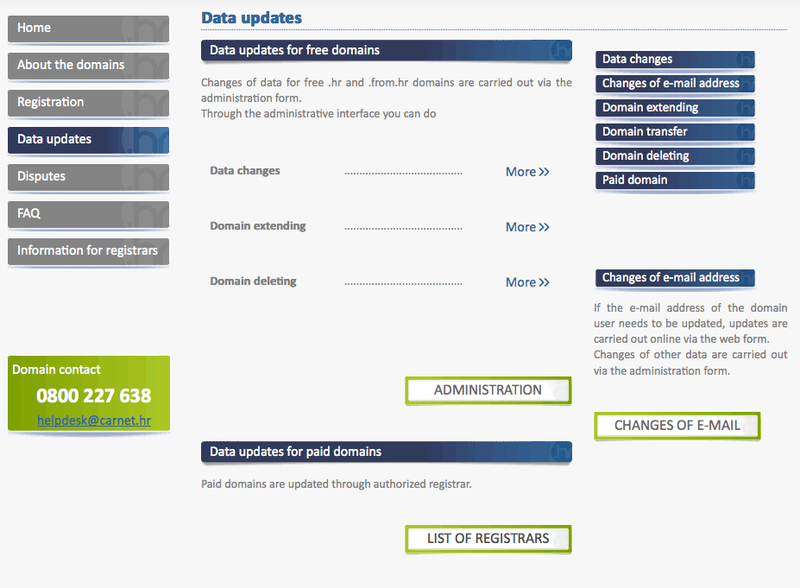 Within the interface, you’ll be able to change the dns of your web site to route to the new .hr domain to your web site. At the end of each year, you’ll be emailed by Carnet to renew your registration. This process entails confirming your current contact and business information through the link provided in the renewal email. If you need to modify your registration information or change the dns at any time, you must request access here by clicking on “Administration”. Enter the requested information. Shortly after submitting the form, you’ll receive an email with a link to modify the domain. Please note that the link expires after 30 minutes. Once it expires, you’ll need to return to Administration to request a new link. Thanks for this info. Do you know if it is possible for a US company to get a .hr domain?